Title: UX Designer, Ayogo Health Inc.
Fun Fact: I am also a fine art artist. Outside of design, I do a lot of custom motorcycle work: painting, engraving, and leather burning. Hobbies: Art, photography, yoga, and adventuring. Every month we place an Ayogi in the spotlight in order to learn just a little more about them. This month we sat down with Stacey Hagel who is a UX designer of healthcare applications at Ayogo. Like most Ayogis, Stacey’s path has been a winding one. Stacey grew up on an acreage just west of Balzac, Alberta where she spent her summers whittling and “building forts out of rocks, sticks and moss”. Following high school, she developed her skills in art and later started learning photography, which in turn led to design. 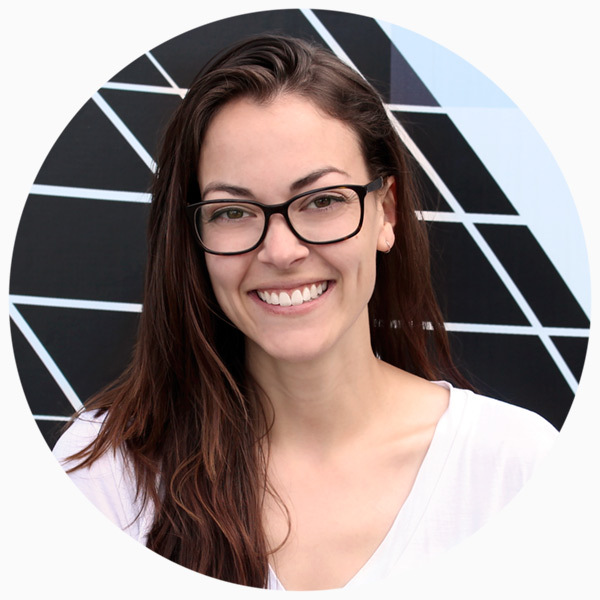 She then moved to Vancouver to study Interaction Design at Emily Carr University of Art and Design. Degree in hand, she caught the startup bug and began working on interesting health projects. She joined Ayogo in 2015 as an expert in user experience (UX) design. Here, Stacey has worked on a smoking cessation application, helped build our product’s healthcare provider interface and developed new mobile designs for our product. Around the office, she’s known for her empathic design, gorgeous whiteboard doodles, and quiet, visual wit. And as for fine art, Stacey has shown her unique motorcycle artwork across the US and Canada, including Fuel Cleveland. How did you find yourself at Ayogo? I was ready for a move, but wanted to stay in the field of health design. I had met one of Ayogo’s co-founders at a meetup and happen to have gone to school with Ellena who was already working at Ayogo on the design team. Ellena mentioned they were hiring. I met with some Ayogis, and they hired me! What are you hoping to achieve while at Ayogo? A better understanding of the medical design field, and the movement happening with technology and patient engagement and adherence. In your opinion, what is the biggest challenge in developing behavior changing software as a UX designer of healthcare applications? Taking into consideration the emotional and mental effects that chronic diseases have on patients. We learn everything we can about different chronic diseases: we take into account side effects, patient’s states of mind and any physical restrictions they may have. It takes a lot of research and a lot of empathy. The challenge lies in taking this information and coming up with conclusions or design insights. I am constantly switching between the designer hat and the user hat. What advice do you have for those who are looking to start their career in design, specifically within the healthcare space? Research what is already out there, what applications or platforms already exist and how they go about their design decisions. Reflect on that, and ask yourself how you would design it. This will give you a starting point. Health design can be very overwhelming and it’s often hard for the designers to relate if they don’t have first hand knowledge. This is a field where having lived experience with a health challenge can be a big advantage. Lacking that, you need to research, talk to people, interview folks in the given scenario. Want to work with Stacey? Check out our Career page! Want to learn more about Empower? Talk to an expert!